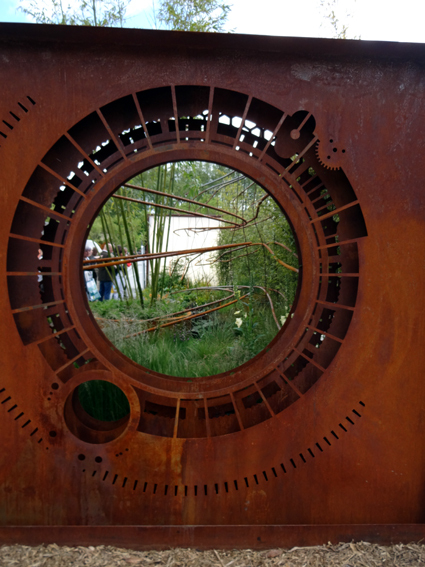 And to show that Chelsea was more than just flowers, this garden was explaining some of the principles of dark matter twisting through time and space. 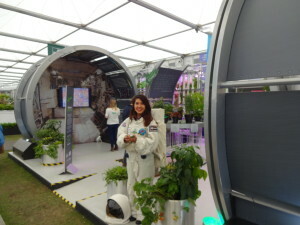 Well, even Chelsea Flower Show is getting in on the space race. The European Space Agency had a very interesting display which included their Mars Rover prototype, although it wasn’t clear what it would achieve over that which Curiosity has, and will, discover. 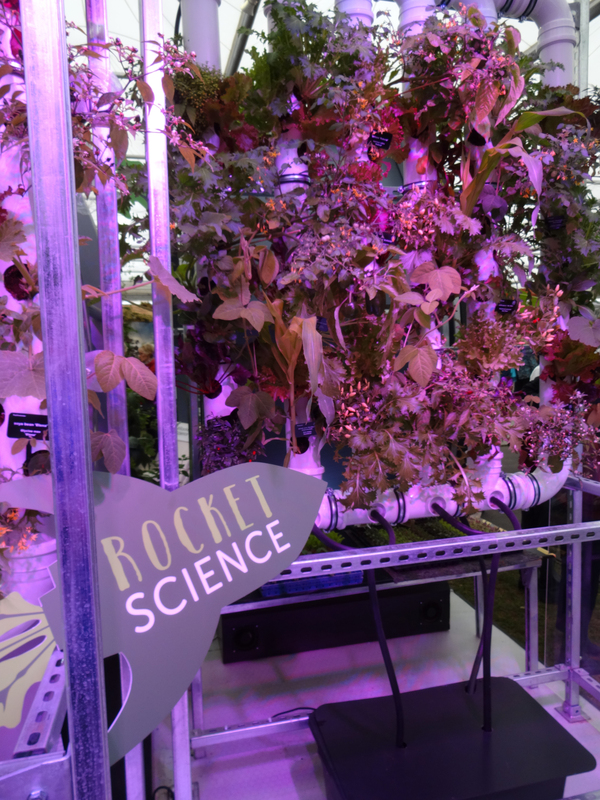 What was very interesting was their research on the growing of food in space, vital to any plans for long term space habitation or exploration. In their work to involve schools they are offering seeds, which will have been taken to the ISS, for schoolchilden to then grow on Earth. It is a great idea, but I do wonder how many of the seeds will actually be planted, against those that will end up ‘framed’ as Genuine Space Seeds and listed on ebay shortly after, watch this space. Thursday night was spent at a book launch for a great friend of mine, Liz Kessler. Liz was launching her latest book, ‘Read me like a book‘, at Waterstones in Hampstead. It is her first book for Young Adults. I remember reading an excerpt from the draft 14 years ago and thinking then that it was a powerful read. 14 years on, 15 books and a New York Times Bestseller award later, ‘Read me like a Book’ is published. 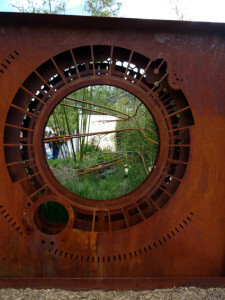 You can read more about it on Liz’s new website, also built by mutual and very clever friends. 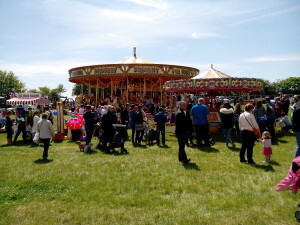 Sunday was a lovely sunny, if chilly, day. 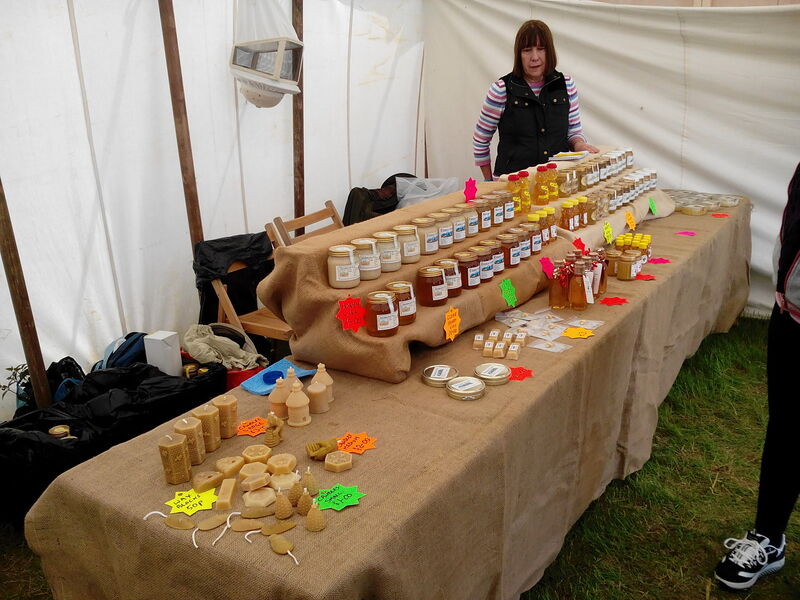 It was spent at the Essex Young Farmer’s Show in the Essex Beekeepers’ tent . 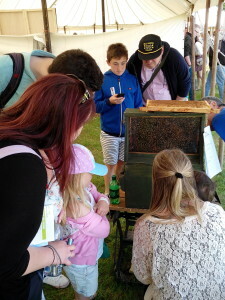 The observation hive always brings the children around and they are never afraid to ask questions, the types of questions mum and dad are to embarrassed to ask but would like to. 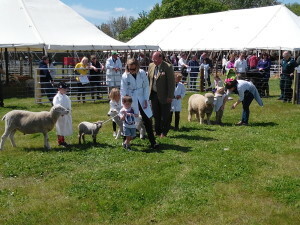 As a result we educate the parents and the children. This is a typical group gathered around the observation hive. 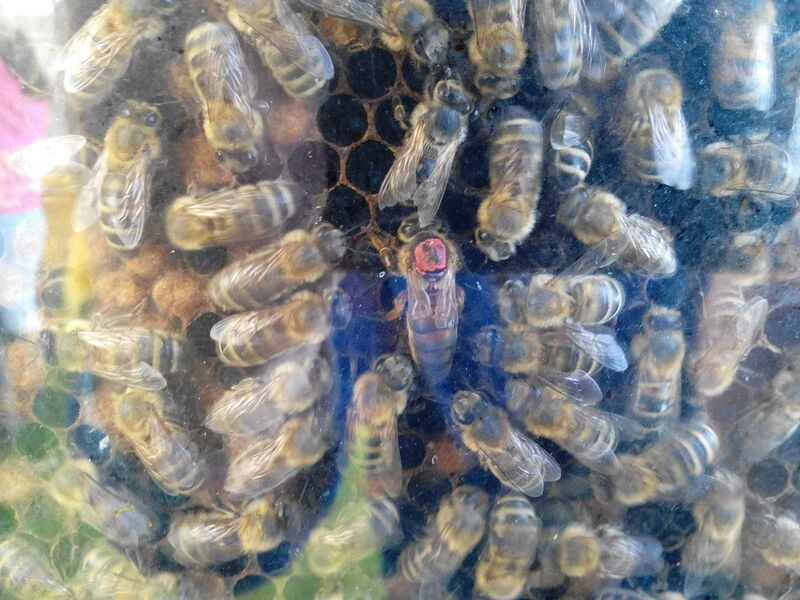 They are all trying to find the queen, pictured here in the centre (through the glass so forgive the reflection), surrounded by workers, grooming and feeding her. 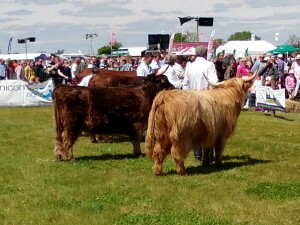 And here are some other random pictures from the day. I’m not too good at this ‘regular posting’ lark. So, a quick update. The last couple of weeks have been busy ones, both garden wise and blacksmithing. 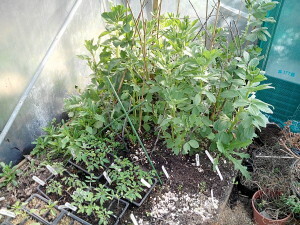 The former concentrating on unusual varieties of tomato and pepper plants. The latter being about building my own forge, which is nearly finished. All I need to do now is to work out how to join up the car turbo hose, bought on ebay, including postage from Hong Kong, for £5 (how do they do that? ), to the second hand bouncy castle blower, bought on ebay for £10. It will all make much more sense very soon I promise. 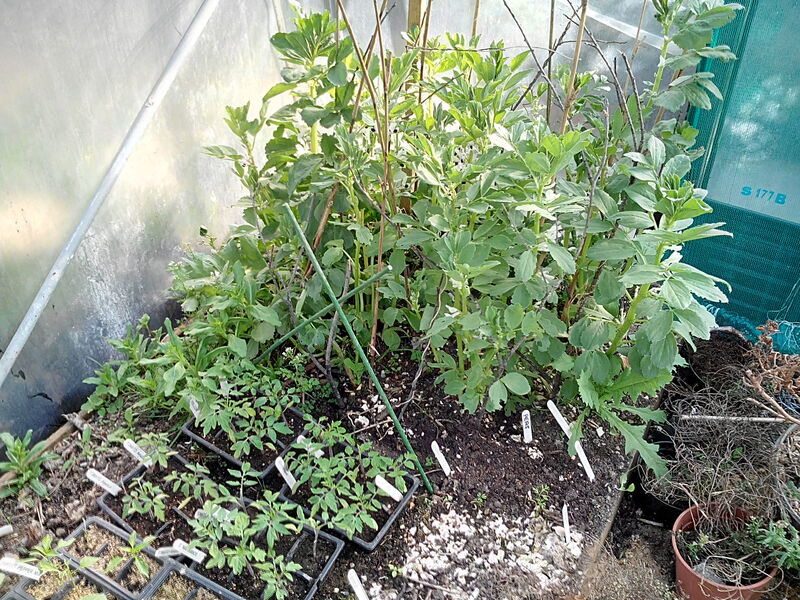 We have over the years tried a number of different ways to get those early broad beans, from autumn sowing to applying heat, planting in plugs etc etc. 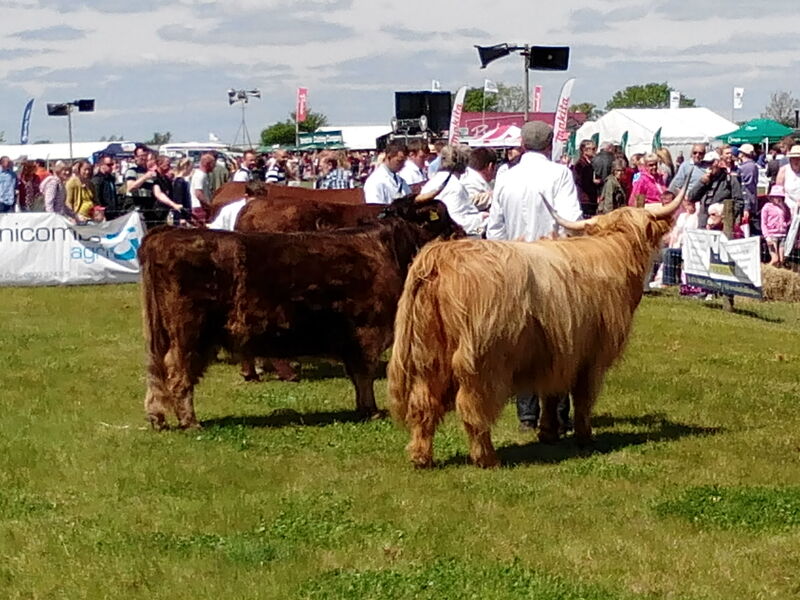 This year we have been a little more scientific, with 3 methods running concurrently. Planting times were set to be as early as possible within the positions. 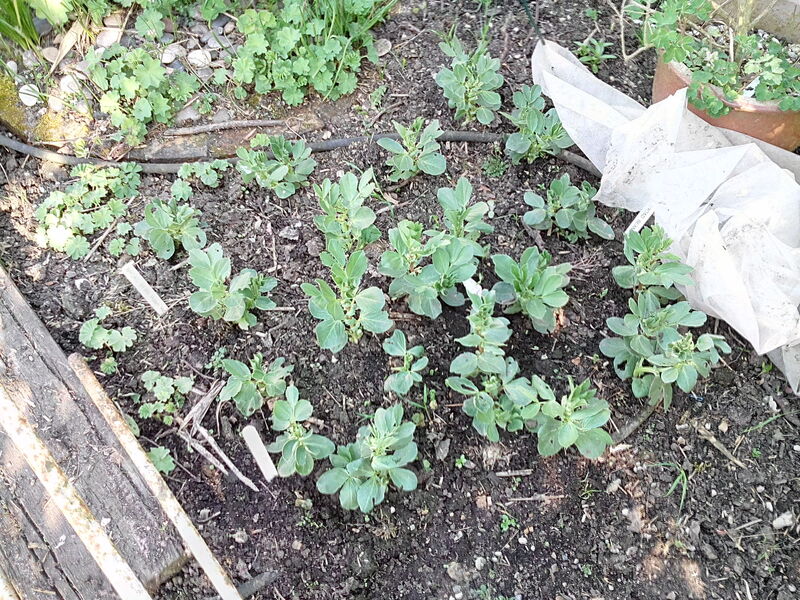 Method 1 is straight outdoor sowing under fleece, with the beans planted late March and currently about 6 inches high with sturdy stems, showing all the right signs to becoming strong plants. 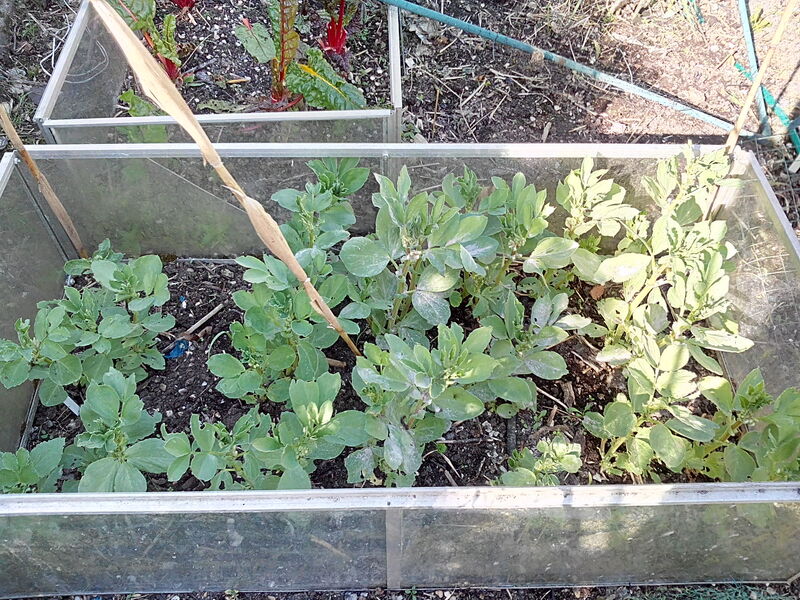 Method 2 is outdoor under a glass cold frame, with sowing late February. The stems are a little thinner but are about 12 inches high and looking good with supports probably needed. History tells us that this method might flower slightly earlier than method 1, but there will be little difference in cropping time. Method 3 is in our polytunnel, with sowing late January. The plants are strong, nearly 24 inches high, in flower, and with some flowers pollinated and already showing small pods. 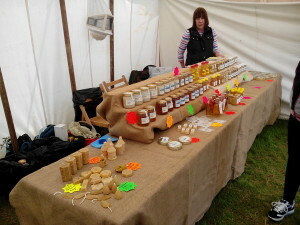 This is our third year with the polytunnel and it continues to bring great benefits. It gives us salad leaves through the winter and its size seems to balance out temperatures, so that we can start plants off weeks earier than even a greenhouse can achieve. We will be eating broad beans from here within 4 week or so. I have also planted peas in amongst the beans for a second crop. It goes without saying that I am a fan of the polytunnel.